Today we’re previewing some of the modern Log Cabin style quilts featured in our “How New is Modern?” exhibition. 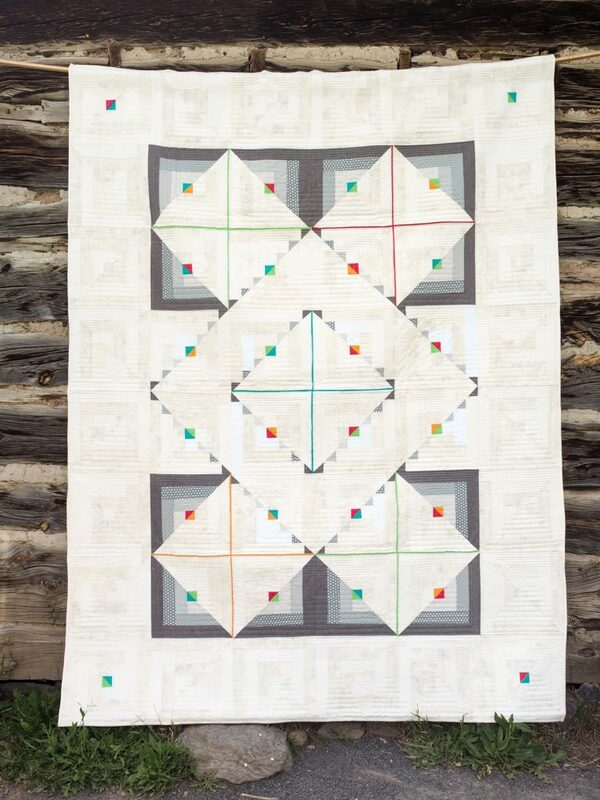 Our inspiration quilt is the intricate Victorian-era log cabin quilt shown above. 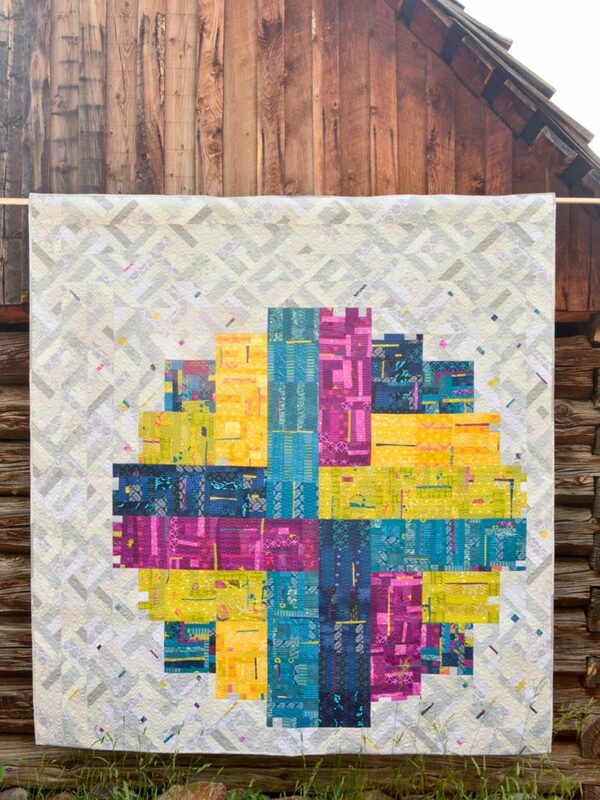 Enjoy these modern approaches to the traditional Log Cabin quilt! Links are included with additional photos and Artist Statements for each quilt. 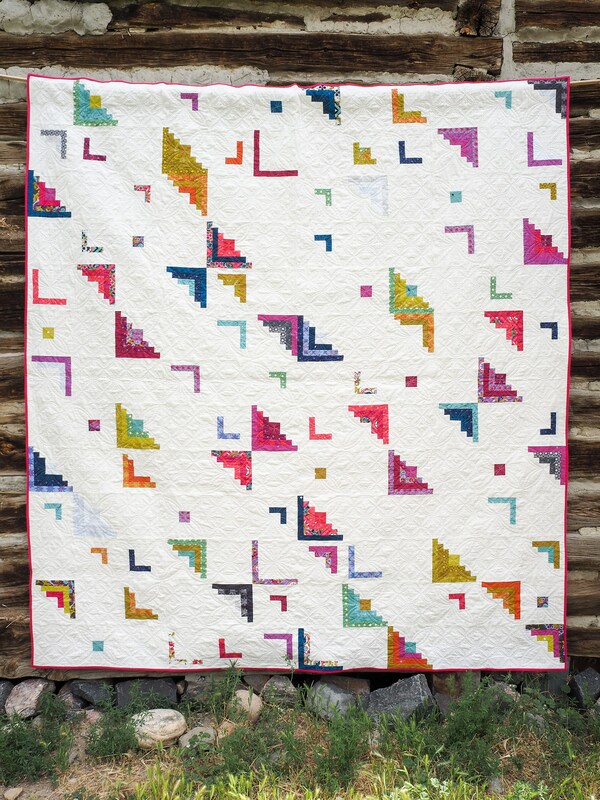 In addition, you can find all of our “How New is Modern?” quilts at the new catalog website at https://show.denvermetromodernquiltguild.org/. All photographs by Shelby Skumanich. 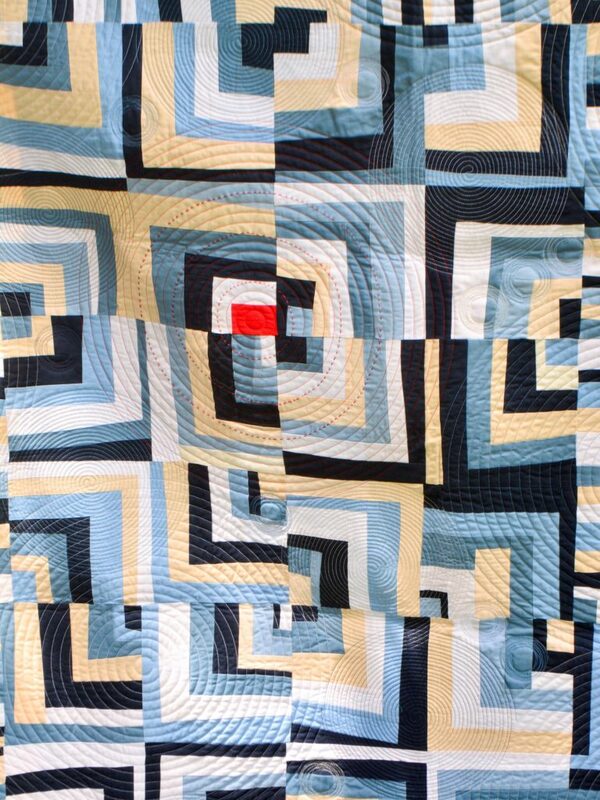 Betsy Widner’s Improv Cabins #1 uses tiny piecing to carry echoes of color throughout the quilt. 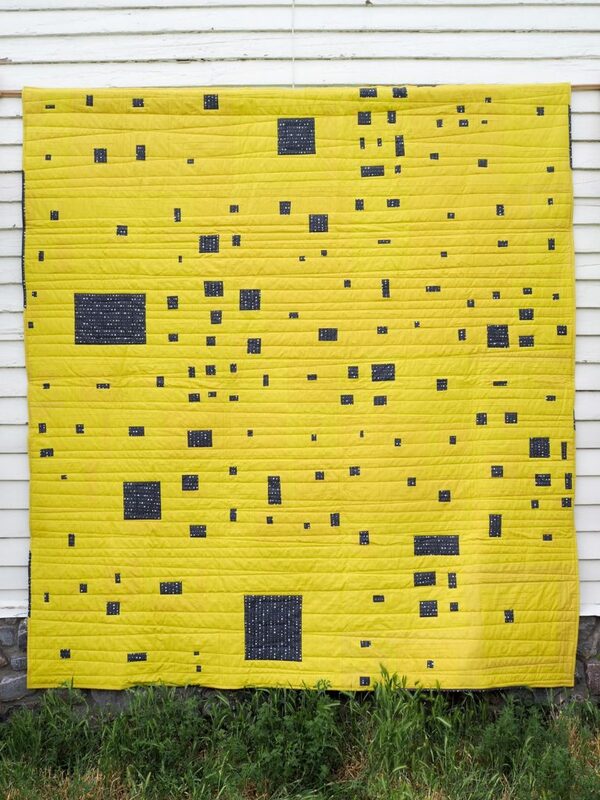 Negative space and a compass-like sense of direction characterize Teri Ladtkow’s Cardinal Cabin 1.0 quilt. Read more about it here. 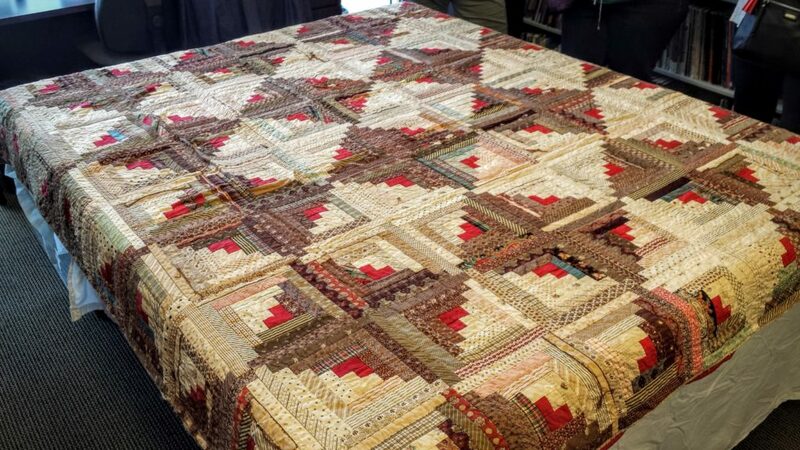 Denise Von Minden’s “Escher’s Log Cabin” is a fascinating quilt with a bold pop of red in the middle of an intricate maze. Mary Van Zale’s bold Wasabi Improv reduces the Log Cabin design to minimalist components. 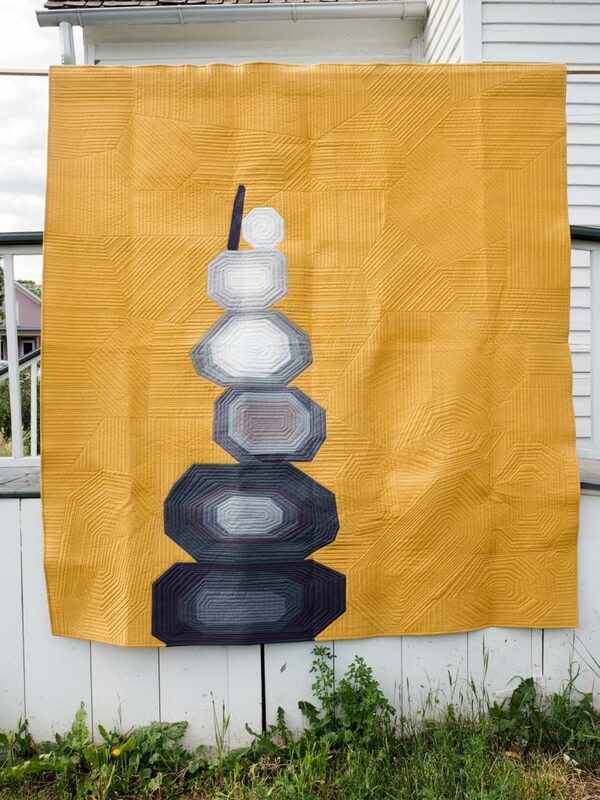 This Zen Rockpile quilt by Susan Santisteven has its roots in the traditional Log Cabin design. Betsy Ryan’s Peeling Away strips away layers of the log cabin design to shine a light on negative space.